By some oddity of PR competition, or something, there are two events labeled Taste of Derby coming up, but the first one to grab that name, the oldest one, will take place at Slugger Field, 401 E. Main St., Wednesday, April 22, from 5:30-8:30 p.m. This Festival, which has been a major fundraiser for Dare to Care Food Bank for 20-plus years, is a totally local affair, with all the participants local restaurants, chefs, and other food suppliers who pitch in to help alleviate hunger in their community. 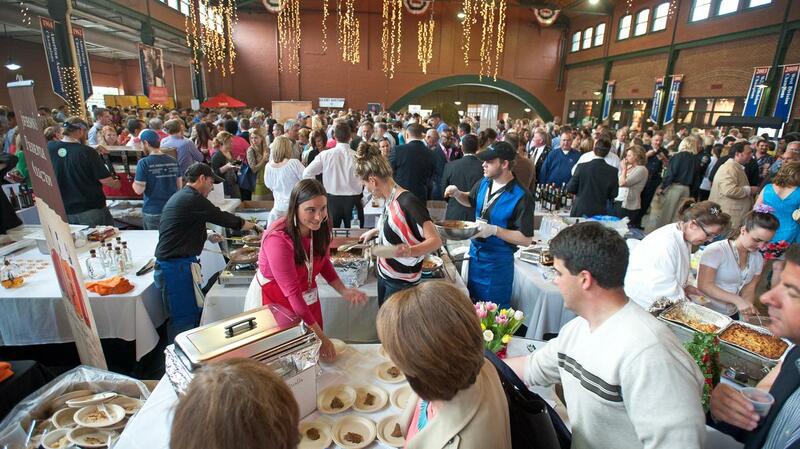 The Dare to Care Taste of Derby features more than 60 local restaurants, bourbon distilleries and beverage companies. Among them will be Against the Grain Brewery, Bistro 1860, Bluegrass Brewing Co., Bourbon Barrel Foods. Bourbon’s Bistro, Chuy’s, Eddie Merlot’s, Harvest, Homemade Ice Cream & Pie Kitchen, Lilly’s Bistro, Marketplace Restaurant at Theater Square, Mark’s Feed Store, Proof on Main, Selena’s at Willow Lake Tavern, The Irish Rover, Alltech Brewing and Distilling, Angel’s Envy, Four Roses Distillery, Jack Daniel’s, John Conti Coffee Co. and Old 502 Winery, among many others. There will also be a Bloody Mary contest, a silent auction (of course), and a competition among the restaurants to serve the most popular dish. This age 21+ event always sells out, and no tickets are sold at the door. Tickets are $80, and can be purchased here. Previous articleTomorrow is National Garlic day? Who knew? Gordon Biersch did.